We make “birds in a nest” for breakfast often, cutting a hole in a slice of bread and frying an egg in it. But I thought it was brilliant when I saw someone replace the bread with a red bell pepper ring. 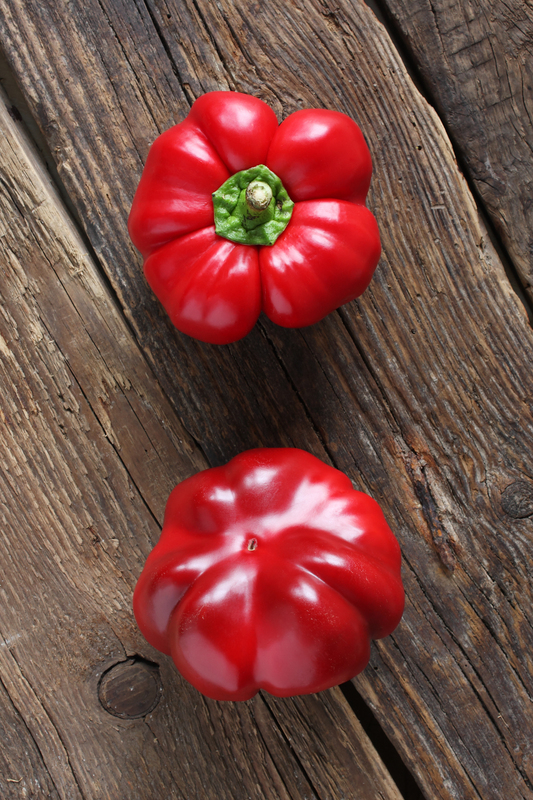 And even more so when I discovered that red bell peppers contain 1.5 times more vitamin C, 8 times more vitamin A, and 11 times more beta carotene than green bell peppers. I’ll be reaching for reds more often to help strengthen our immune systems! On day 85 of this 365 day project, I ate my daily five (including some delicious jicama). Did you enjoy yours?